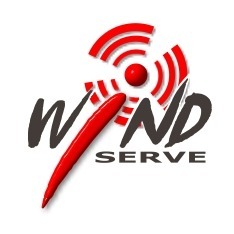 Wind Serve, LLC was formed in 2002 with the goal of providing quality web development, Linux consulting and web development services to its customers. Since then, we've expanded our range of services to include Search Engine Optimization and network consulting. We are made up of a small group of IT consultants dedicated to finding the right solutions for our customers. Our Epworth, Georgia location places us in the Tri-State area of North Georgia, East Tennessee, and Western North Carolina. Our offices are a short drive from Blue Ridge, Georgia; Ellijay, Georgia; Blairsville, Georgia; and Cleveland, Tennessee. Matt founded Wind Serve, LLC. He is involved in all aspects of the company, from web development, to network and Linux consulting. Matt lives in the Blue Ridge area of North Georgia. For the past ten years, he has worked as the systems administrator for MCC Life, an insurance brokerage located in Tampa, Florida. He has also worked on the University of South Florida's SOFTICE Linux Virtualization project, where he helped USF leverage Linux virtualization to develop cost-effective and scalable computer networking labs. He runs a technology blog at GeekProjects.org, where he discusses Linux Systems Administration, MySQL, FreeBSD and networking topics. Matt brings 12 years of web development experience, and 10 years of network administration, and Linux system administration experience to Wind Serve, LLC.